The Mashambas Skyscraper derives its name from the Swahili word for cultivated land. The project is the brainchild of Polish designers Pawel Lipi?ski and Mateusz Frankowski. 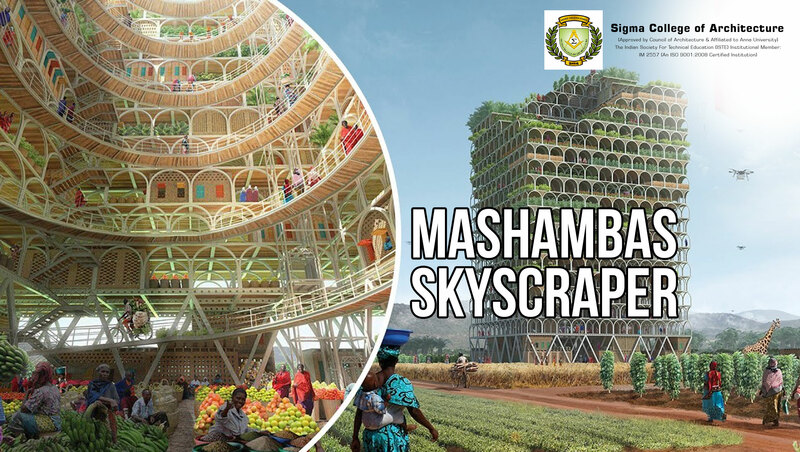 It envisions a vertical farm that can be disassembled and moved to different locations across sub-Saharan Africa. It would be built of simple arch-shaped modular elements, stacked around a central atrium. The replaceable tower would be a boon to the continent that suffers from poor soil quality or drought. The project is intended to help bolster agricultural opportunities by serving as a vertical farm, an educational center and a marketplace. It also won first place in the eVolo Skyscraper Competition, which annually invites architects and designers to conceive futuristic towers. It won from a list of 444 entries. It could also include facilities include a doctor's surgery, a kindergarten and even a port for drones that could distribute the produce.